Wine trends come and go and every year different wines become the next in-thing. 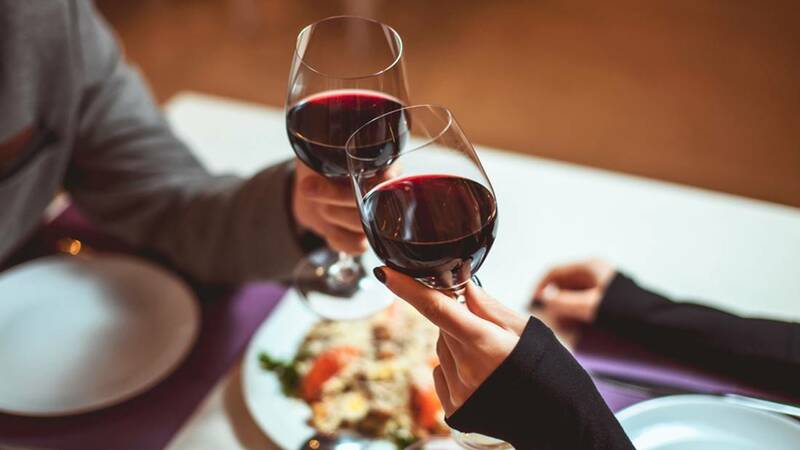 Of course there are always some classic wines like premium Chardonnays and Bordeaux that never go out of style, but the latest buzzword on the wine circuit are minimal intervention wines – these wines are produced using more natural methods. The grapes are grown either with organic or biodynamic sprays and even these are used in minimal quantities. Nothing apart from small quantities of sulphur dioxide preservative is added at bottling and the focus is on wine that’s as natural as possible. While these types of wines have been around for almost a decade, they have always been surrounded in controversy. Wine critics feel that these wines don’t have much credibility as there is no official definition of natural; they complain about rustic, feral and murky flavouring in some bottles and feel that many winemakers just jump onto the natural wine bandwagon without paying sufficient amount of consideration to it. However, when it comes to taking the preferences and opinions of wine drinkers into consideration, this trend has been largely positive. No one’s really complaining about their Chardonnay smelling a little like cider and seeming a bit cloudy; they still find it quite delicious. This one’s sparkly, bubbly and refreshing and is produced in France’s Loire Valley. The organically-grown and côt (malbec) and gamay, grolleau noir grapes bring a distinctively elegant hedgerow berry flavouring to this pale-pink fizzy wine produced without any additives whatsoever. This one’s made using natural processes too and the only addition is a very small amount of sulphur at the bottling stage. It’s made from traditionally grown grapes and is a great example of a fine yet cloudy wine. While the wine is slightly hazy, that doesn’t take away from the satisfying and full flavours of cracked wheat and lemon pith. A number of winemakers that produce natural wine ferment the grapes on skins, which lends a very intriguing amber hue to the wines. One extremely food-friendly, tannic and tangy wine from Georgia is 2015 Pheasant’s Tears Kisi. This is produced from certified organic grapes that have a very robust flavour that comes from fermenting them in qvevri which are large clay amphorae. Closer home, another grippy and stunning wine is the 2016 The Other Right “Moonshine” – it’s organically grown, fermented on skins for up to a week and then bottled without any additions. The 2016 Cobaw Ridge “Il Pinko” is another superb amphora fermented wine, it’s a pale, dry rosé that’s made from syrah grapes that have been certified-biodynamic. It has a slightly creamy yet crunchy red-berry fruit texture. 2016 “Windy Cottage” Pinot Noir – This wine is made largely from Yarra Valley grapes that have been biologically farmed and is a delicious and juicy wine. The 2014 Morgon Côte du Py is made from fruit that has been organically-grown, without any additions except for a little sulphur at the bottling stage. This is a very supple, and fruity, age-worthy, structural wine. 2016 Smallfry “Stella Luna” – This is produced in Barossa at a certified organic & biodynamic vineyard. It’s a beautiful blend of gamy shiraz and perfumed cinsault. 2016 Jauma Fairygarden Shiraz Grenache – This one’s produced at a McLaren Vale vineyard and is organically farmed. It has a spicy raspberry flavour and no sulphur additives. 2016 Cullen PF Malbec – This comes from a certified-biodynamic vineyard in WA and is a preservative-free wine that has very distinctive saturated mulberry notes.